The energy revolution is happening. All of us can get involved making a positive contribution to the world... and ourselves. Don't sit on the sidelines... The time is now! Drawing on the author’s two decades of experience as a renewable energy engineer, community activist, consultant, business leader and government adviser, Energy Revolution gives you the tools to develop projects in your locality. This handbook covers everything needed to structure your community power company – the technology, site assessment, legal and business planning, fundraising and financial modelling – whilst putting people at the heart of your strategy. 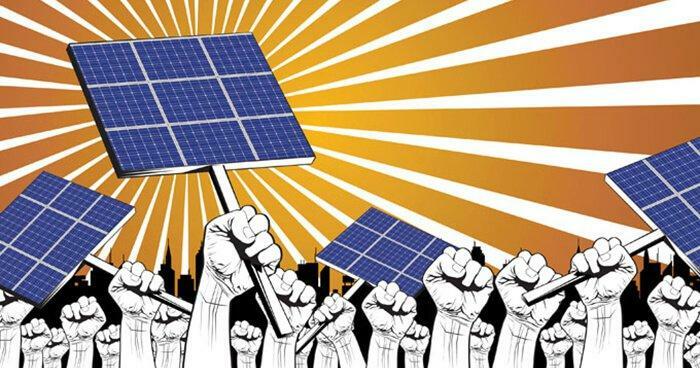 Change the system from the bottom up and make the next great leap forward to achieving clean, affordable, democratic energy. It’s time for us to take control, relocalise, reduce costs and carbon emissions, repower our neighbourhoods and join the energy revolution. In 2002, Howard Johns founded Southern Solar which grew into one of the largest solar companies in the south of the UK. He served as chairman of the Solar Trade Association for five years, representing the industry in the media, as well as in parliamentary hearings and at national and international conferences. Howard led the development of his local energy company and was instrumental in raising funds to build the first community owned solar PV system in the UK. He is a vocal advocate for renewable energy and a champion of community energy.